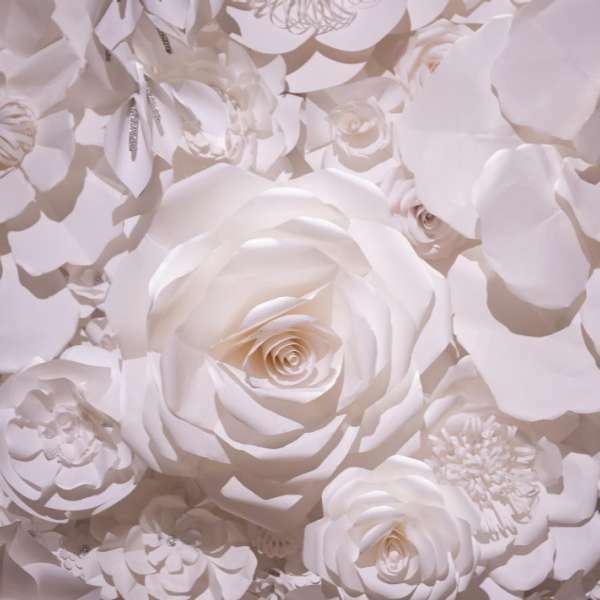 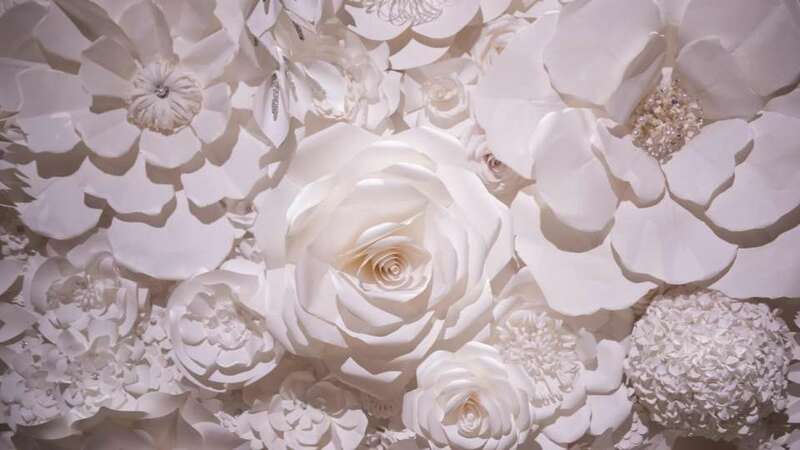 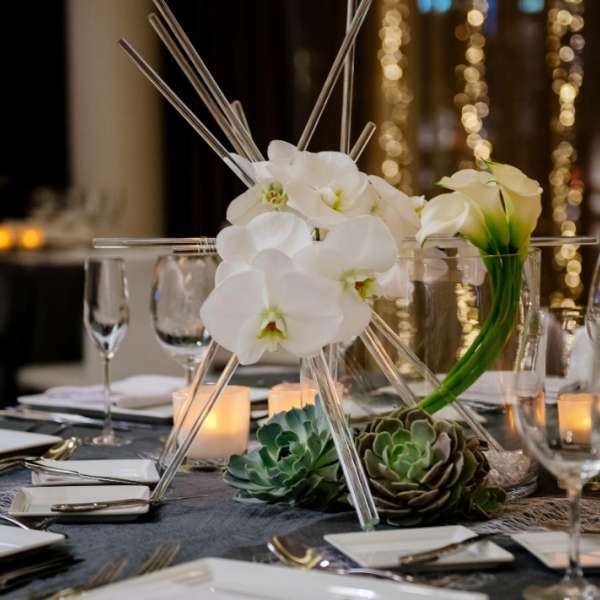 We invite you to celebrate your special moment in the sophistication of Vdara Hotel & Spa. 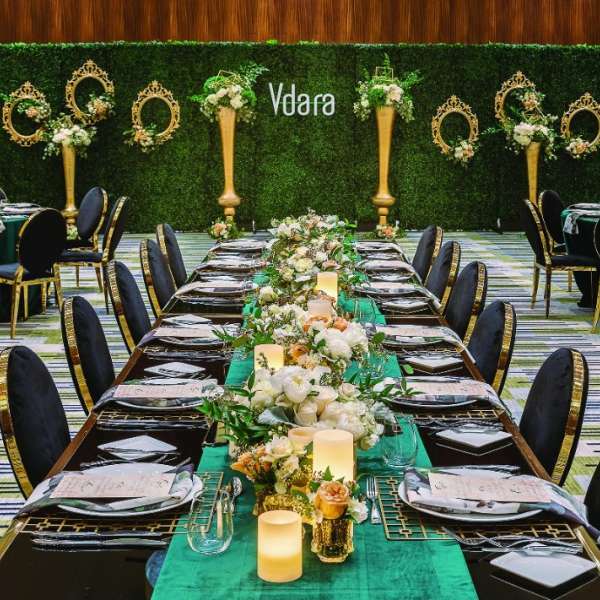 When you host your private wedding reception, anniversary, or glamorous social affair at Vdara, the space and experience is intimately yours. 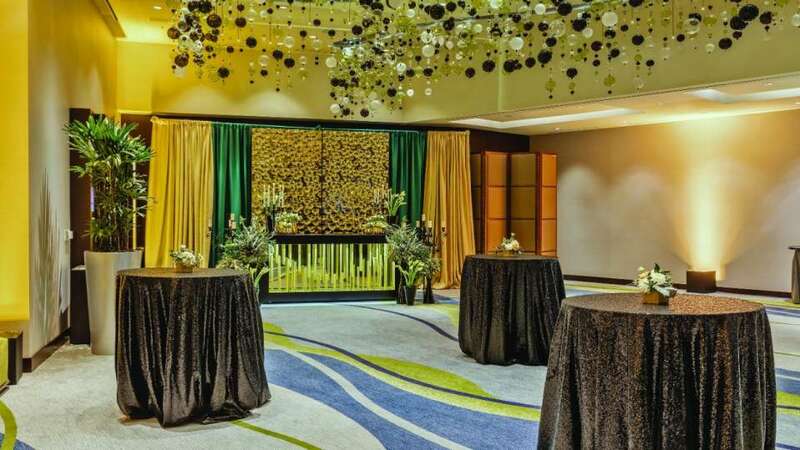 With personal attention to every detail, enjoy all-suite accommodations to host and prepare for your special day. 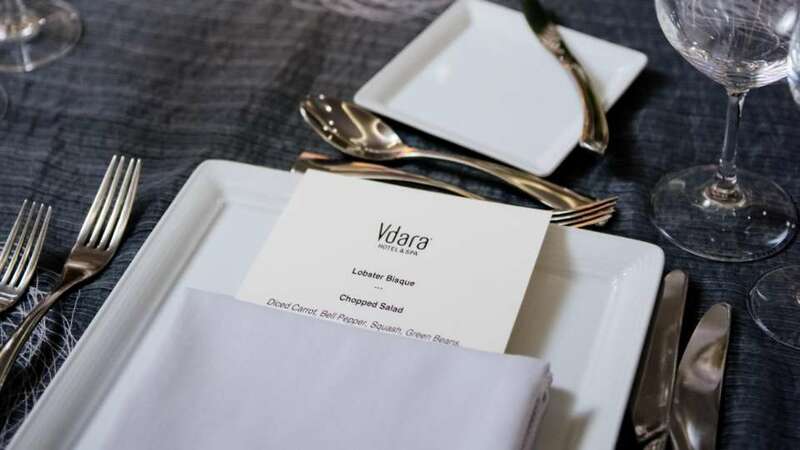 Vdara's unique venues include sophisticated ballrooms or an intimate pool deck with spectacular city views, exclusive access to the Spa & Salon, limousine service and more. 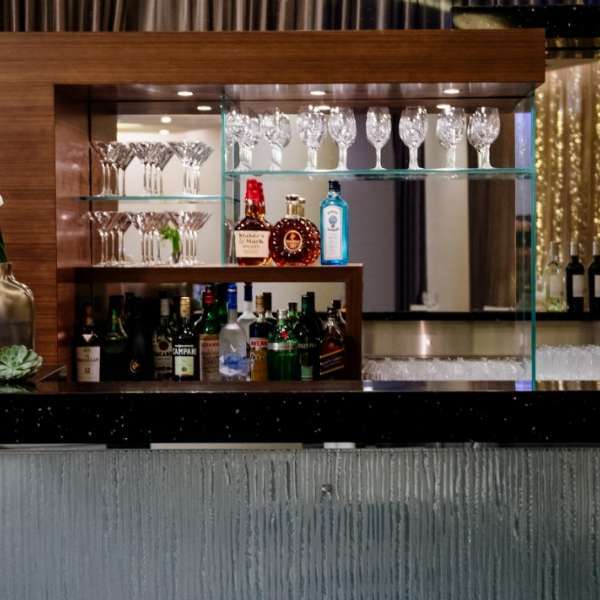 Toast your unique moment, dine and dance in a glamorous escape, only steps away the center of excitement in Las Vegas. 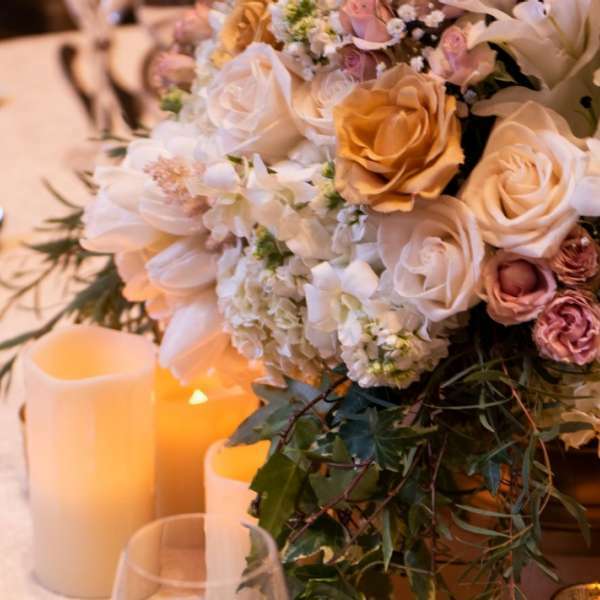 Please click below to view our wedding brochure. 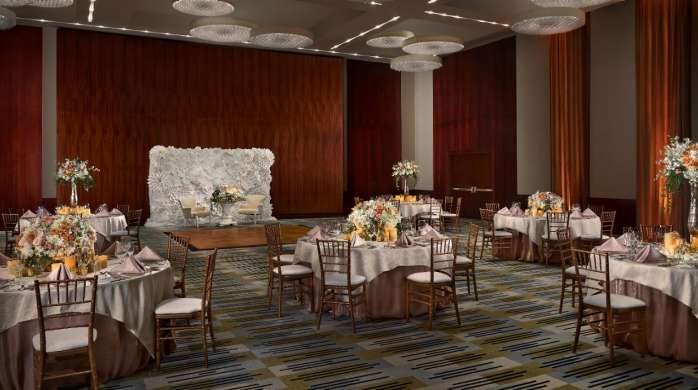 Vdara’s Viñoly ballroom is an elegant location for receptions. 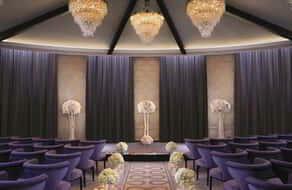 Aesthetics and location set the tone for the Viñoly Grand Ballroom. 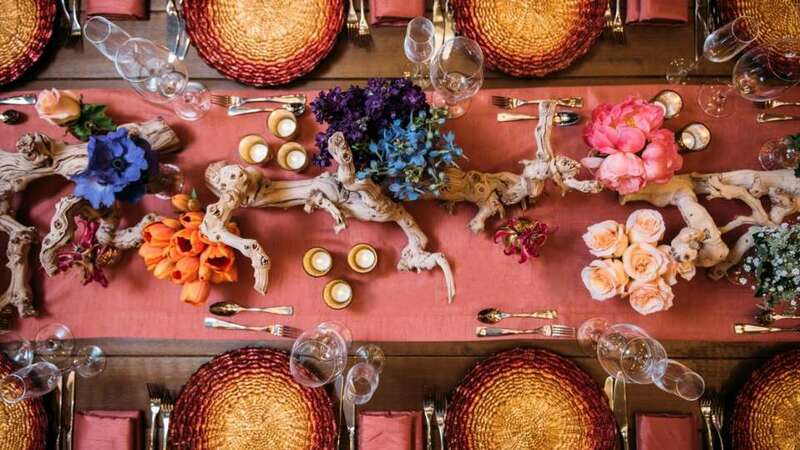 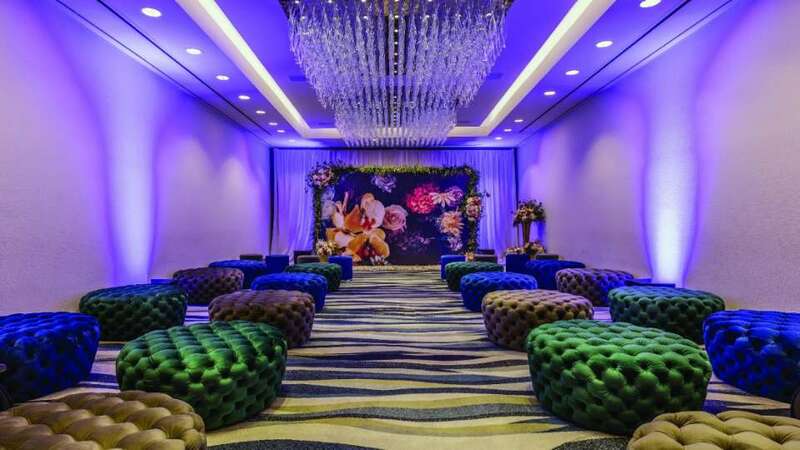 Using natural materials such as warm wood, this contemporarily designed space located just steps from the main hotel entrance is the ideal choice for those who need grand celebration space. 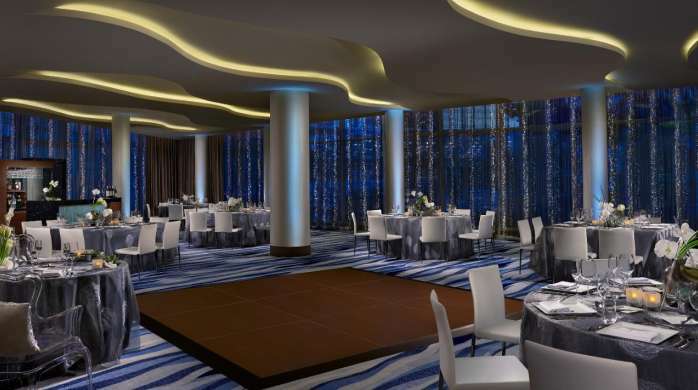 Silk Road offers a unique and flexible, reception or event space with stunning, décor and floor-to-ceiling glass windows, overlooking Nancy Rubin’s gravity-defying, sculpture, Big Edge. 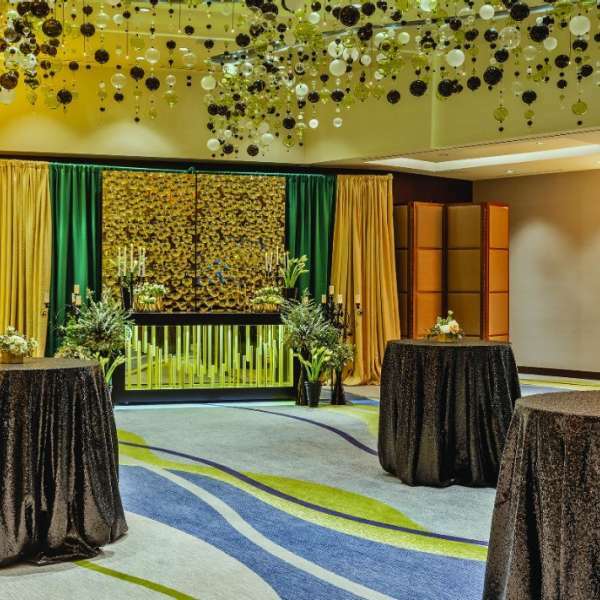 A stirring experience in the heart of the hotel, VICE VERSA is ideal for cocktail receptions, parties and social hours before or after your events - or for gathering after the rehearsal dinner. 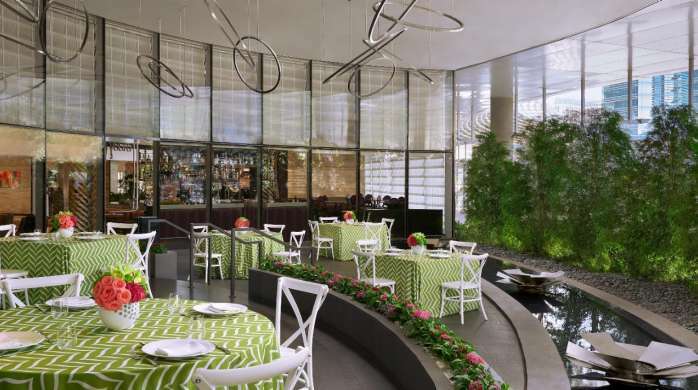 Chic touches, such as light-enhancing sculptural screens and a curved reflection pool with fire pits, create an inviting and lounge-like space, both indoors and out. 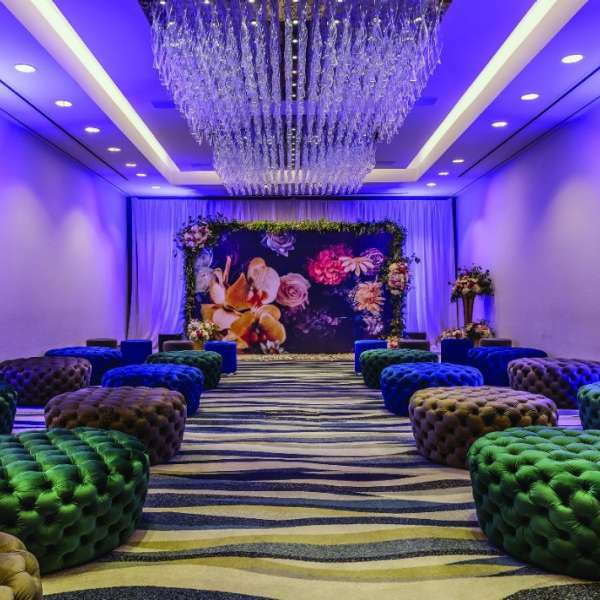 For those who prefer an exclusive venue different than any other, Pool & Cabanas is the perfect setting for unique receptions. 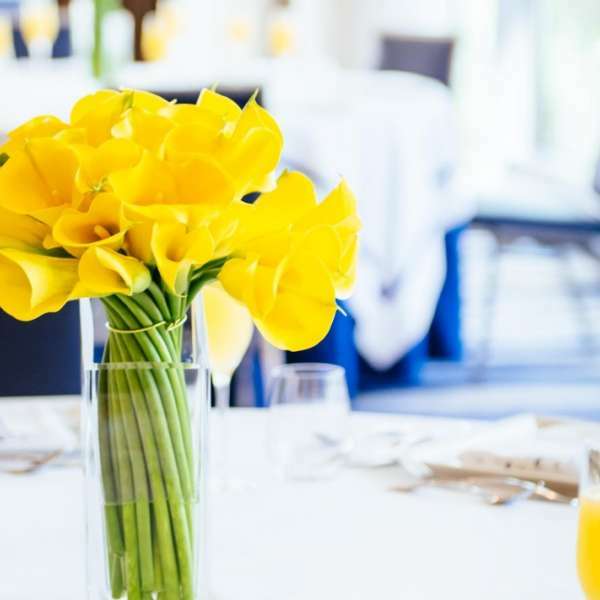 Perched above the Porte-Cochère, it offers first-class service tending to your every need, and casts striking views as the backdrop to your special occasion. 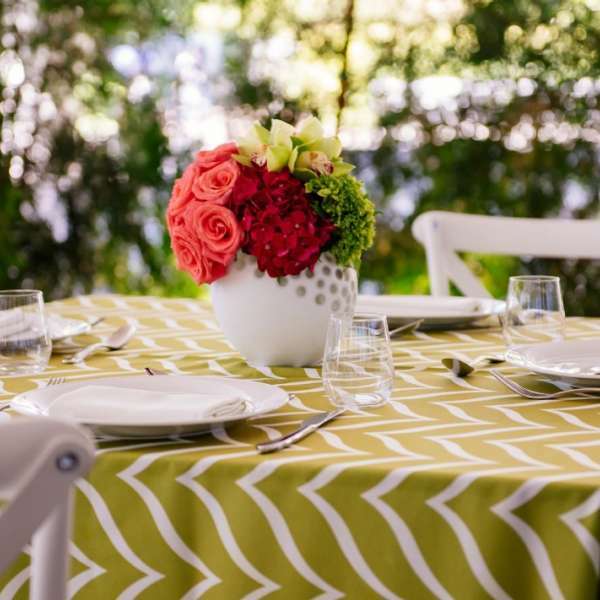 For a smaller, more personal gathering, consider a private cabana on the pool deck. 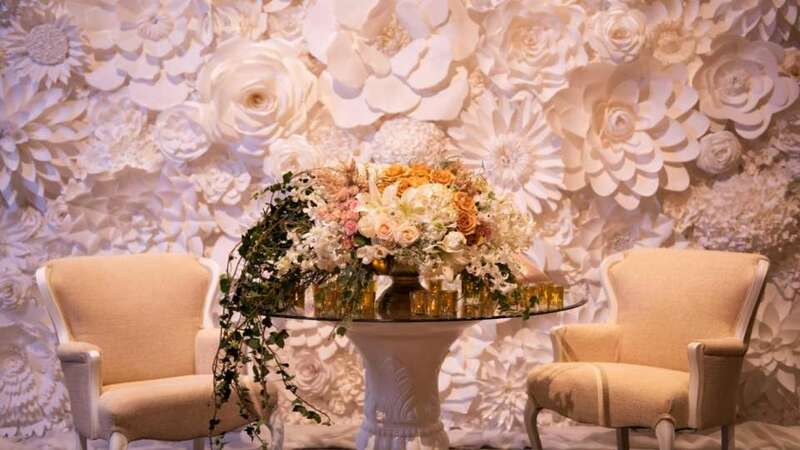 Enjoy the luxurious amenities of ARIA as you and your special someone say 'I Do'. 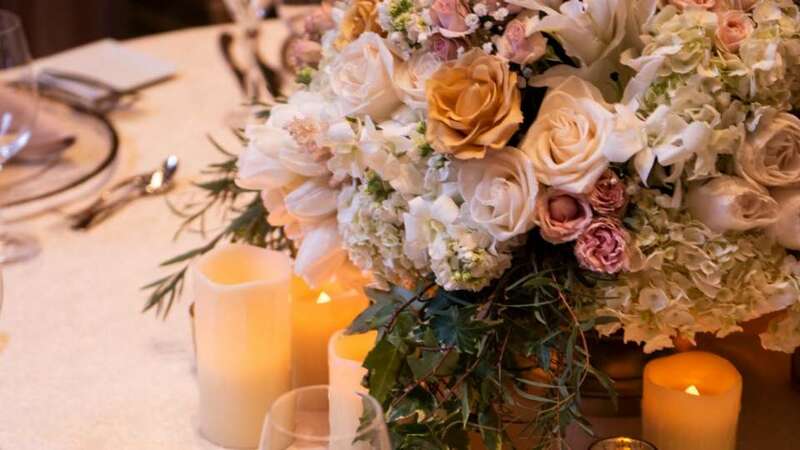 Explore all The Wedding Chapel has to offer for your special day. 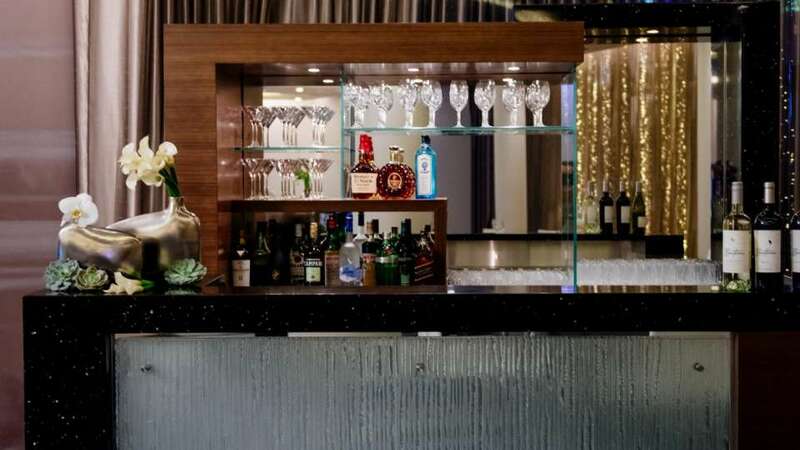 With unique amenities including exclusive Vdara Club Lounge access, astounding views and personalized service, Vdara Luxury Suites encourages you to do Las Vegas on your own terms. 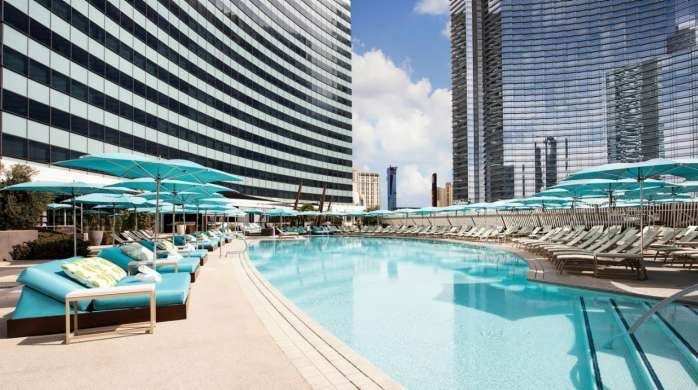 Recently awarded the prestigious Forbes Travel Guide Five-Star rating for the third year in a row, ESPA at Vdara is a truly luxurious escape. 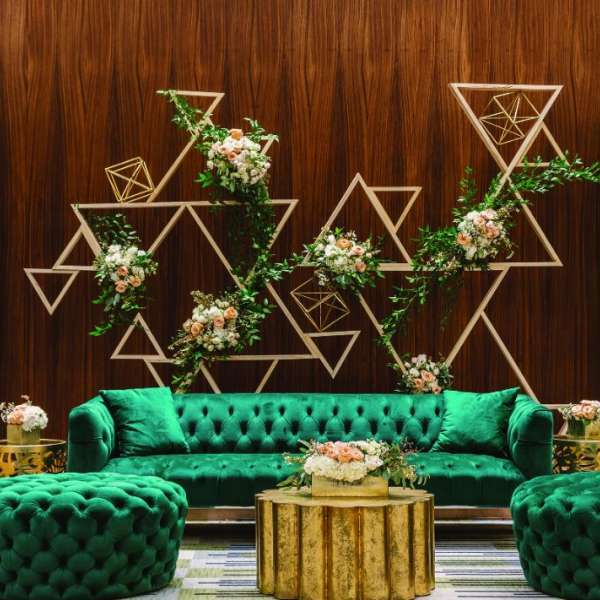 Reception lounge area at a wedding reception venue at Vdara. 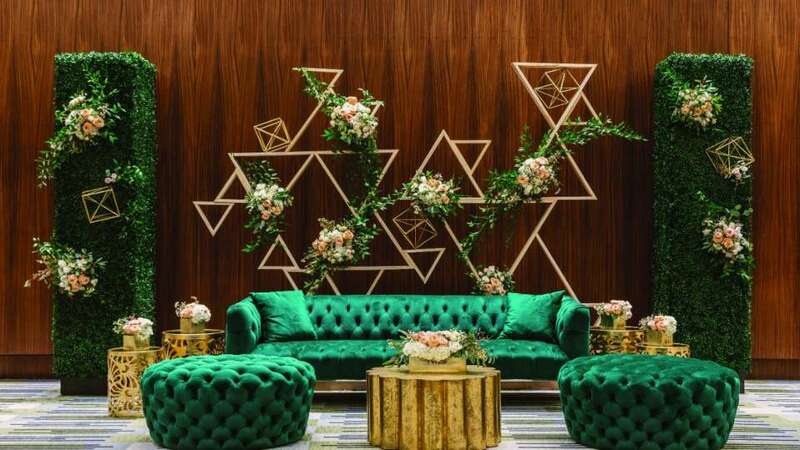 Seats in a hallway at a wedding reception venue at Vdara. 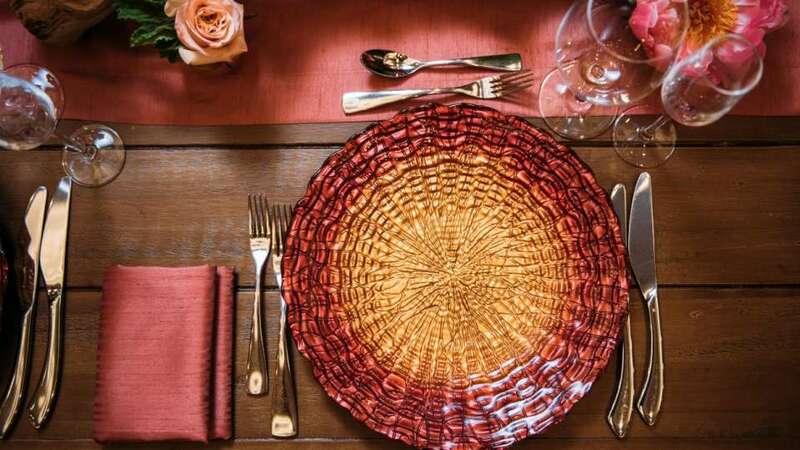 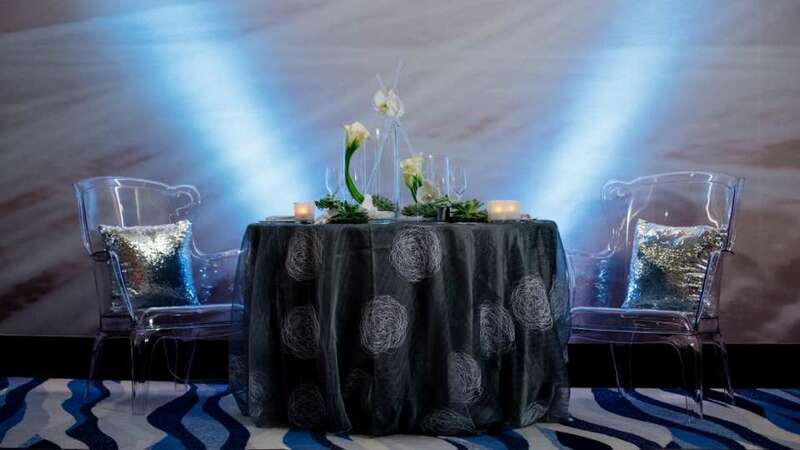 Small table with brown covers at a wedding reception venue at Vdara. 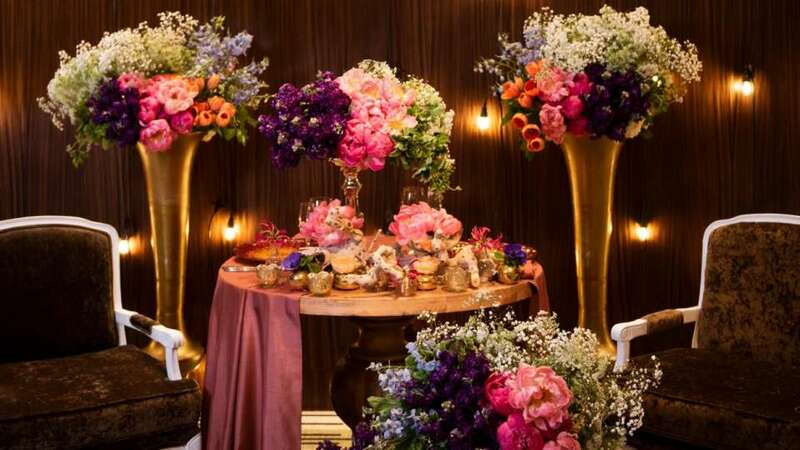 Table with flowers at a wedding reception venue at Vdara. 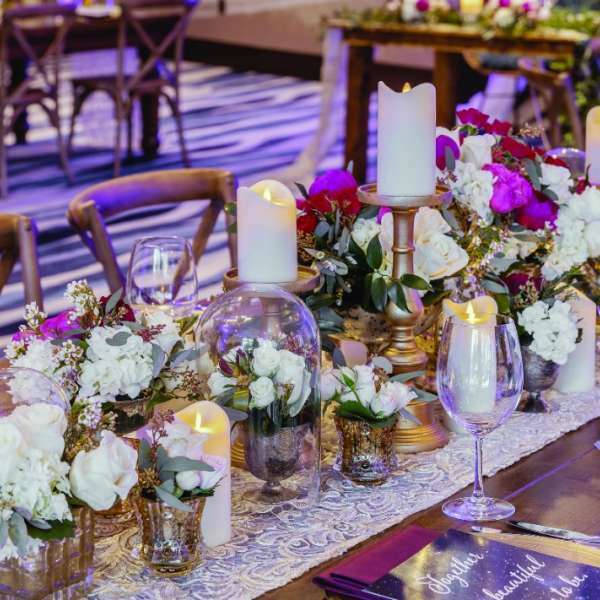 Reception table with menu at a wedding reception venue at Vdara. 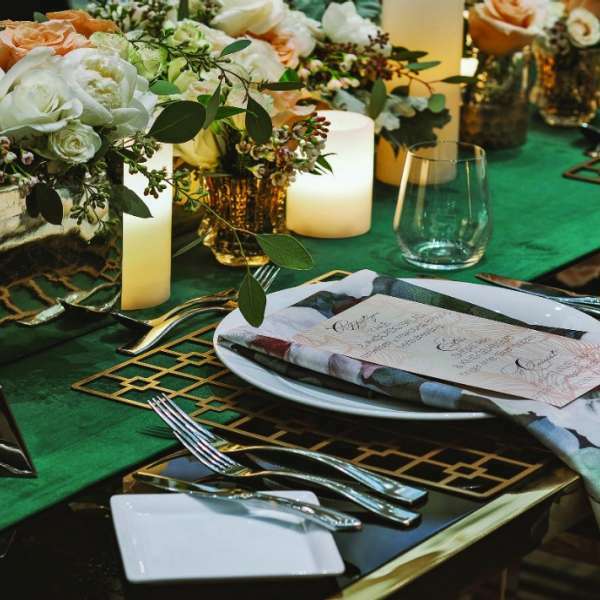 Teal table at a wedding reception venue at Vdara. 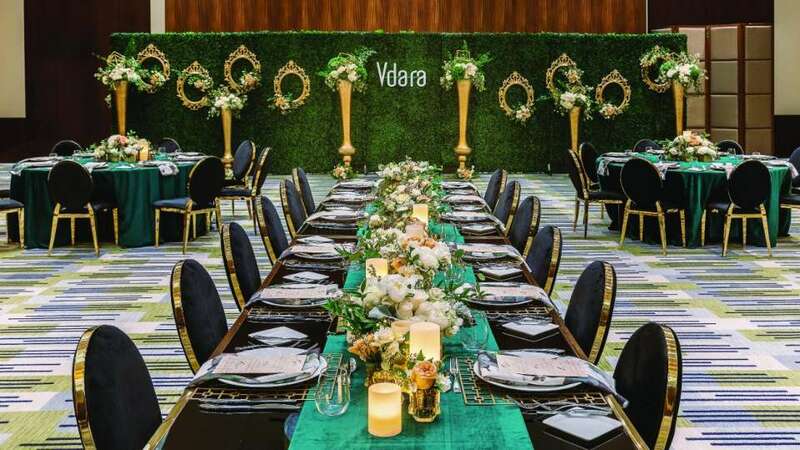 Vdara Wedding Social Occasion Colorful Natural Floral Overhead Table. 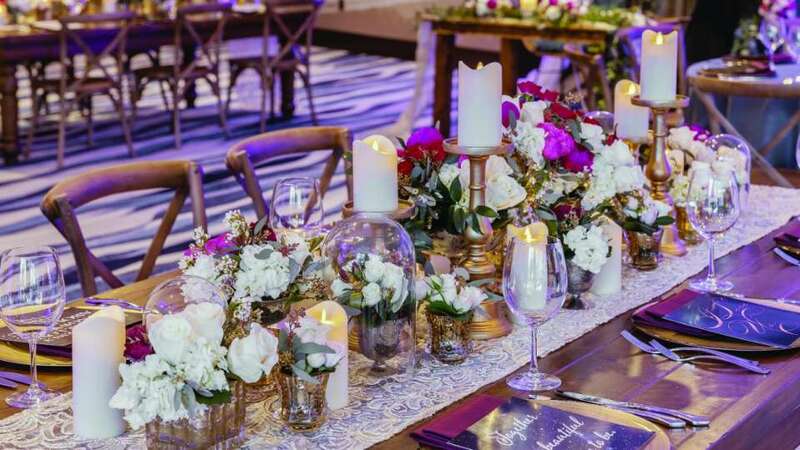 Begin your lifelong romance at this sweetheart table set-up in Vdara’s Vinoly Ballroom. 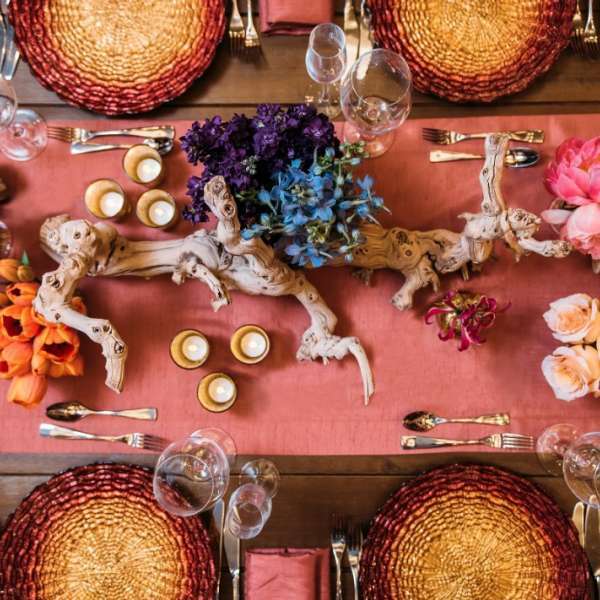 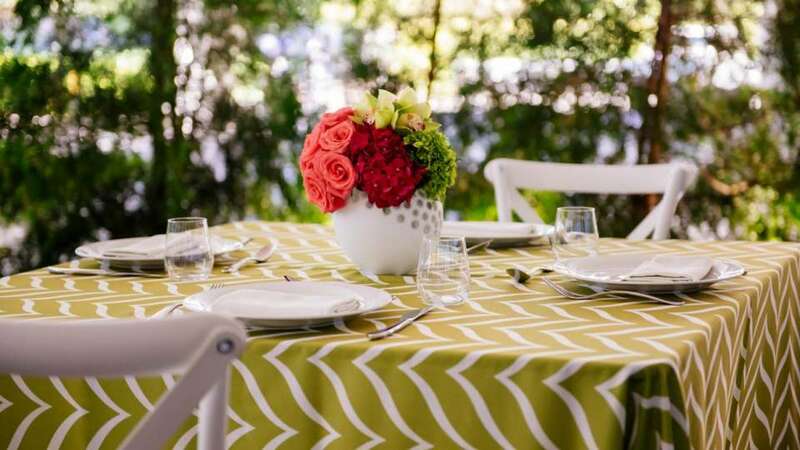 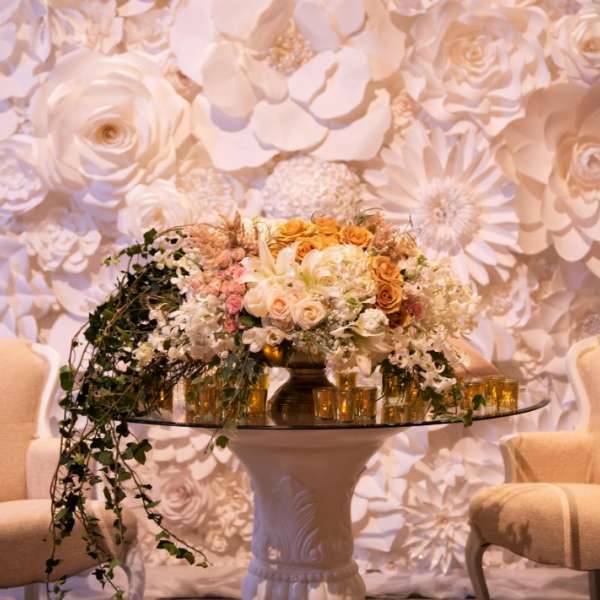 Add your personal touch with custom floral arrangements. 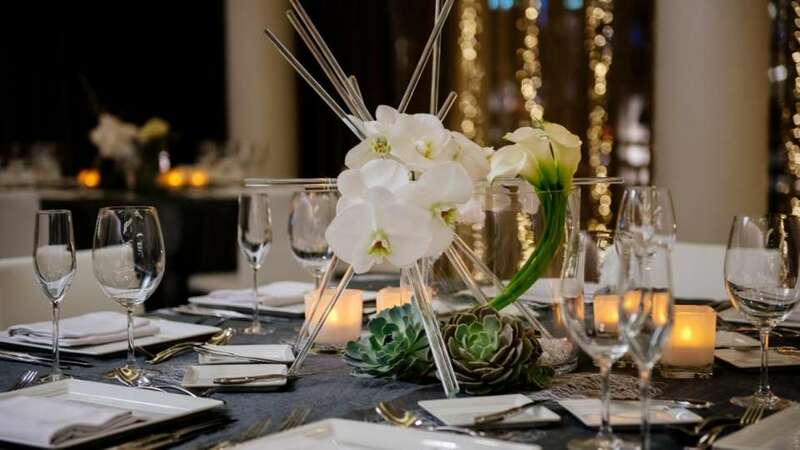 Start your happily ever after with a wedding reception at Vdara. 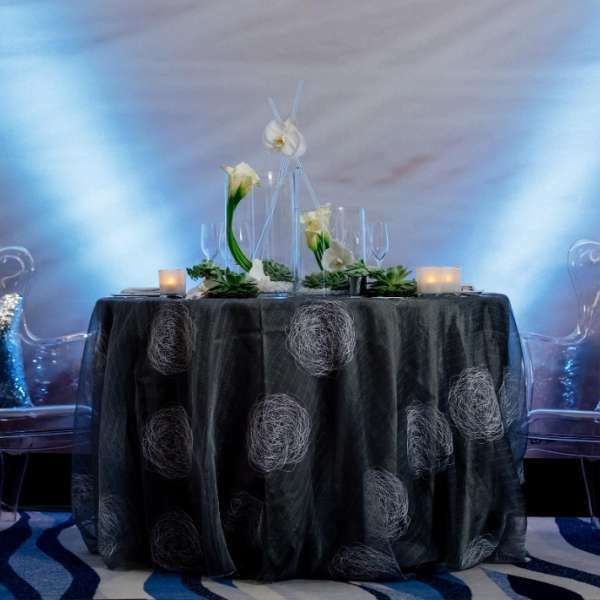 Elevate your wedding reception with this modern and sophisticated sweetheart table set-up in Vdara’s Silk Road. 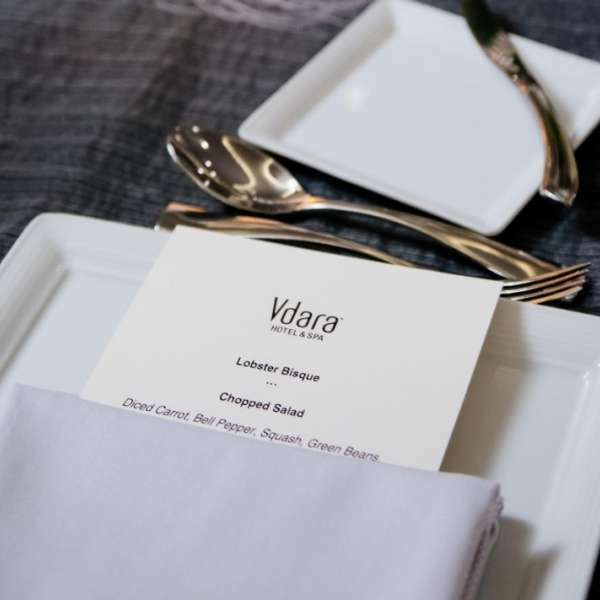 When you host your private event at Vdara, the space and experience are intimately yours. 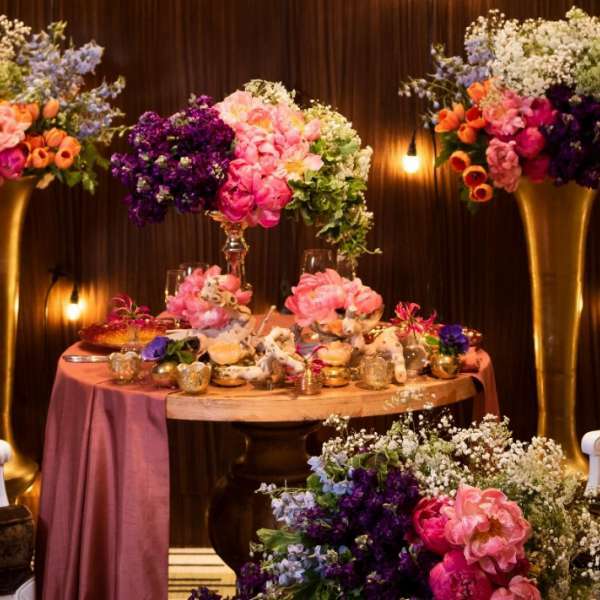 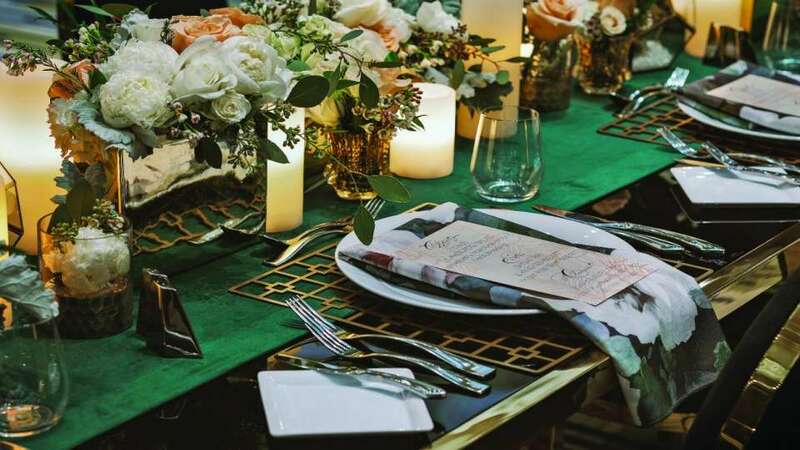 Love passionately with this sweetheart table set-up in Vdara’s Vinoly Ballroom. 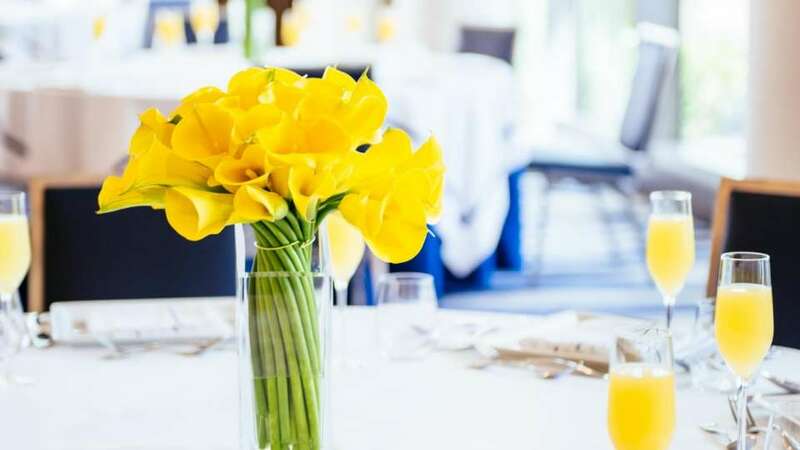 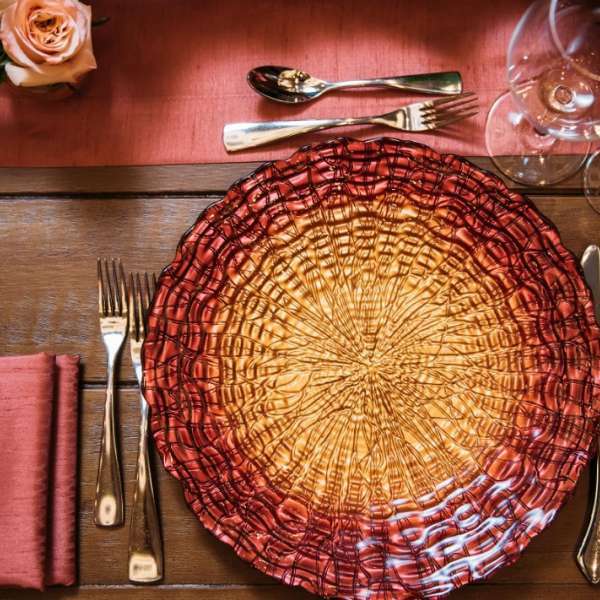 Fall in the love with the details at Vdara.